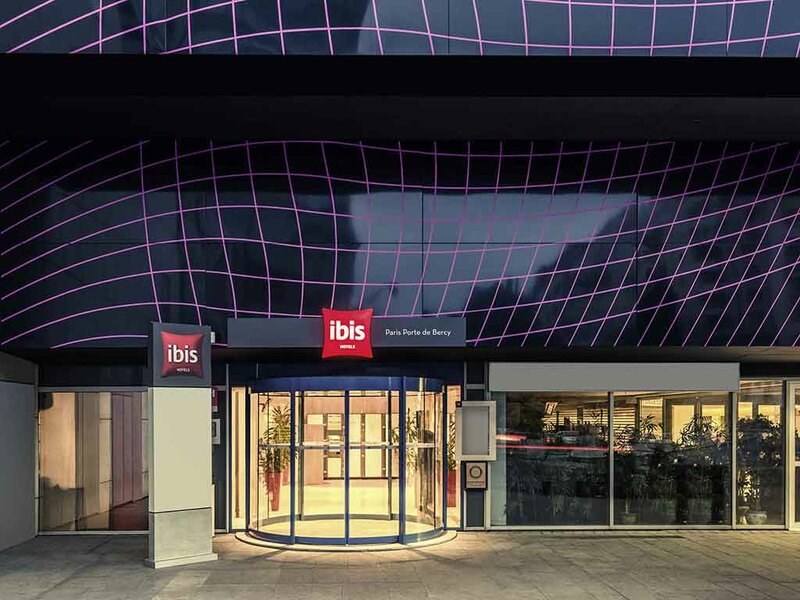 Welcome to the ibis Paris Porte de Bercy hotel, our team will be happy to make all of your business or leisure stays better in the capital. The Ibis Paris Porte de Bercy hotel is located steps away from the Bercy 2 Shopping Centre. You will appreciate the comfort of its 156 air-conditioned rooms, its generous breakfast buffet and supper at Tiepolo, a French/Italian accented restaurant. For business, take advantage of our 8 fully equipped meeting rooms that can accommodate up to 110 people. We also have a private covered car park and WiFi is available throughout the hotel. Near the hotel you will find the AccorHotels Arena, Bercy Village district, Gare de Lyon, the Bercy railway station or the Austerlitz station. Join us on the A4 highway using the North or South Ring road.